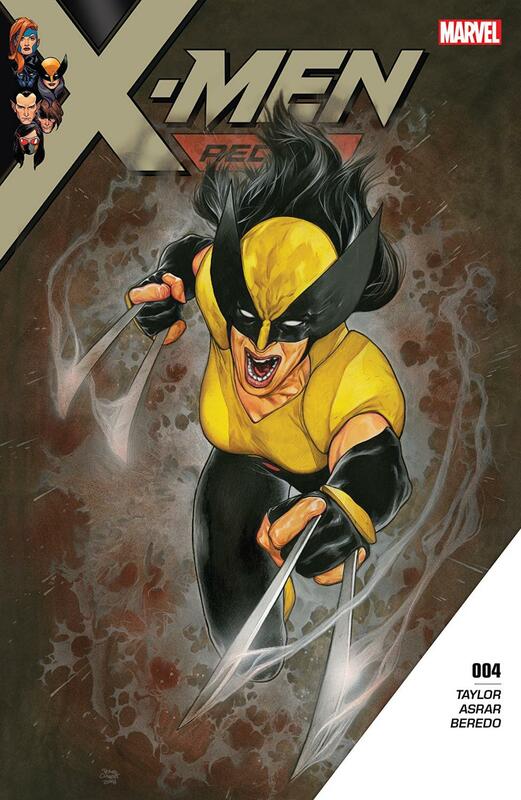 X-Men Red has been pretty amazing so far but things are officially about to get started. While the team has been in Wakanda they are continuously. Someone really has it in for Jean and they are not letting up. This issue we see the team finally fully come together and set out on their mission. While it seems that they are pushed into yet another fight for survival this battle takes things to all new levels. Cassandra Nova is really out for blood this time, and nothing is going to stand in her way. We also get a reunion 14 years in the making that just warms my heart. I have to say I loved this issue a lot. It felt like the real start of the series and what a start it is. Cassandra Nova is seriously sadistic and really is an exciting villain. Jean is just as amazing as she always has been. Her level of compassion really comes through in her reasons for bringing this team together. Gabby is an all-star in this series and keeps the laughs just coming. Her interactions with Namor just had be laughing so hard. She is by far the best new character in a long time. The art in his series has been incredible too. I love how it has this old school sort of look and feel to it while still being modern. This book is a definite must read for all x-fans. It's so exciting and packs a lot of action, comedy and heart. While some of the x-books seem to be lacking lately, this one just keeps getting better and better with every issue. Check it out, trust me.